Thank You to Everyone Who Attended Wisconsin Women in Government-Southeast! If you missed the event and would like more information or join the group, email us! Wisconsin Women in Government is working hard to expand outreach and opportunities throughout the state. 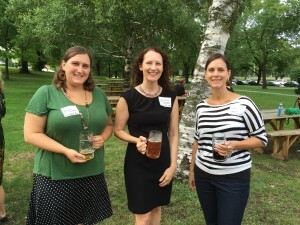 Please join us on Tuesday, August 30th for the kickoff of WWIG’s new committee, WWIG-SE, where we will welcome women in Southeast Wisconsin to our organization. The event will start at 5:00 pm at Milwaukee’s Craft Beer Garden at Humboldt Park in Bay View, Wisconsin. And an opportunity to ask questions of the organization’s board of directors. Wisconsin Women in Government is a bi-partisan, volunteer organization that recognizes and supports women who choose to pursue a career in government by providing scholarships as well as educational, mentoring, and networking opportunities. Since 1987, WWIG has raised over $1,000,000 for scholarships and programs benefiting women.